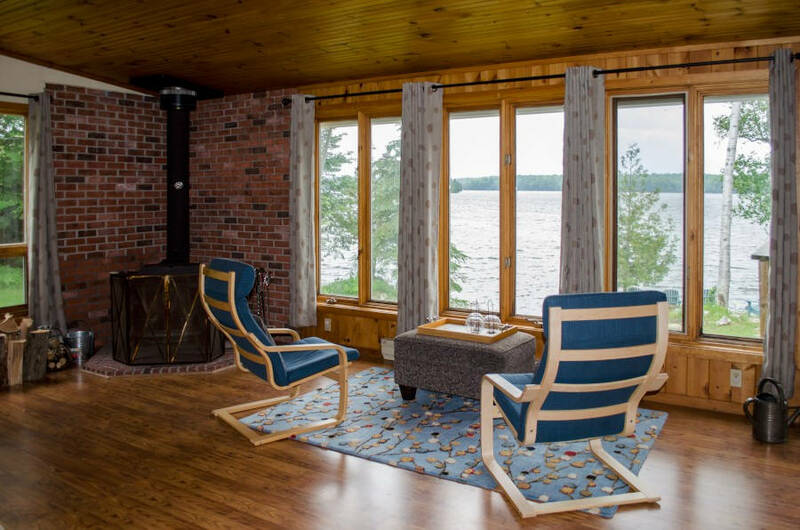 Nestled in a small bay on Malcolm Lake, this privately located cottage has everything you need for a relaxing vacation. Beautiful waterfront with a westerly exposure, newly renovated accommodation and a great deck for outdoor dining and lounging. 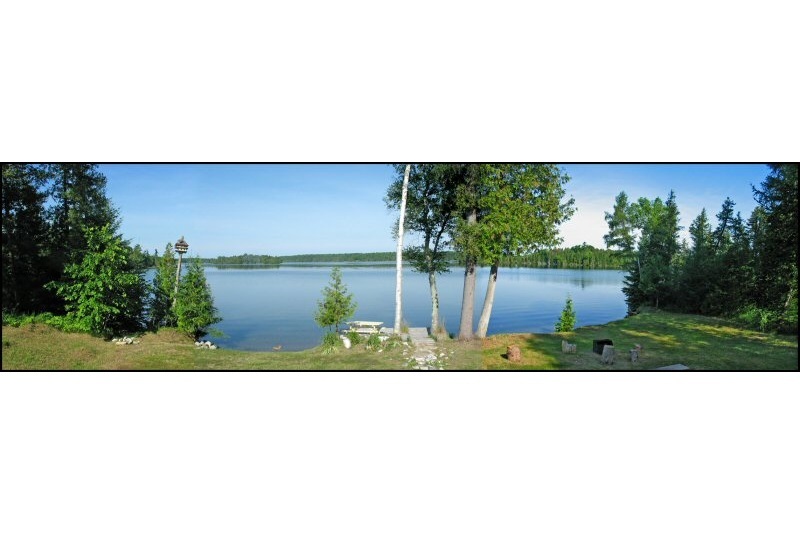 As you enter the Land’O’Lakes region and begin to glimpse sparkling lakes through the trees, breathe the fresh and clean air, and relish the quiet of being away from the city, stress will drift away and that vacation feeling will take its place. Bonnie Isle View is the perfect spot to unwind and recharge the batteries. 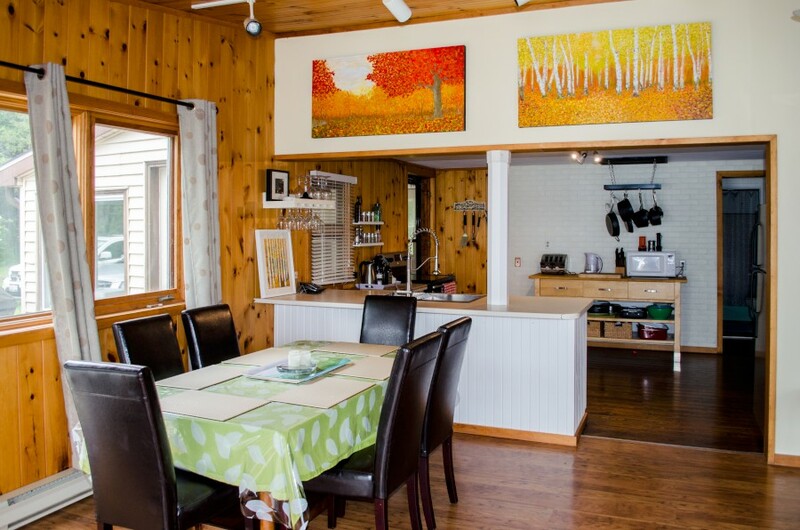 This neat cottage has been completely refreshed to present traditional yet updated accommodation on one level. Entry is in to a small lobby that leads into the large kitchen area that is well equipped to handle catering for the family. 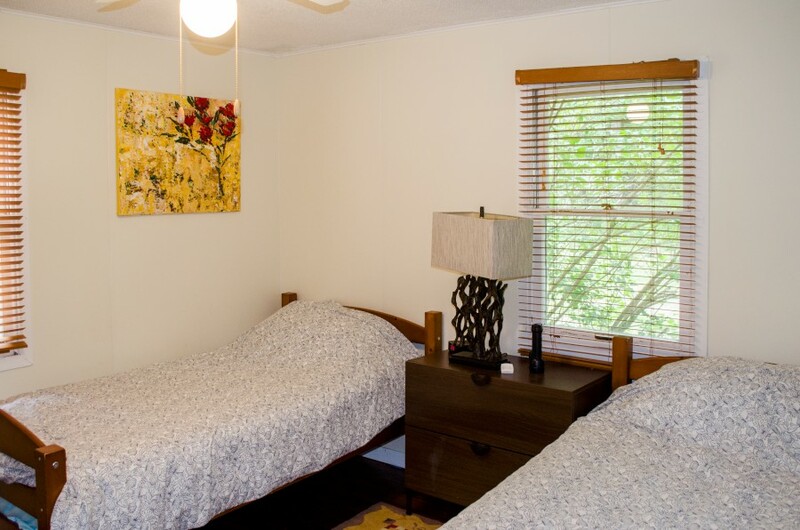 Three bedrooms and a bathroom are to the rear of the kitchen area and have all been redecorated and comfortably furnished with new beds and mattresses. The open plan living and dining area have great views over the lawns and water, and sliding doors lead onto the new deck offering unrestricted access to the waterfront. 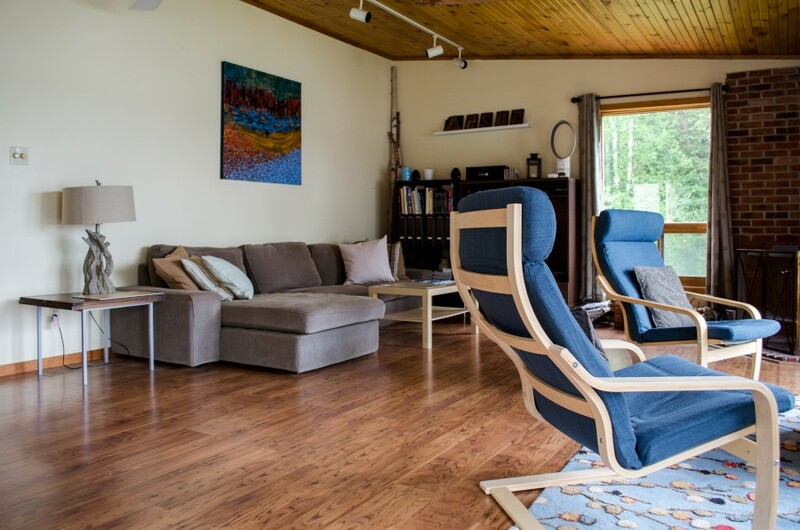 A wood stove is available for cooler evenings and satellite TV provides entertainment for the occasional rainy day. You can stay connected too with hi-speed internet access (via satellite). The waterfront will be popular with all the family and there is a shallow area for easy access to the water that is sandy underfoot. The lake bed becomes softer with some rocks further out so water shoes are recommended. A canoe is provided for exploring this quiet and tranquil lake, and of course, there’s a firepit for evenings out under the stars. 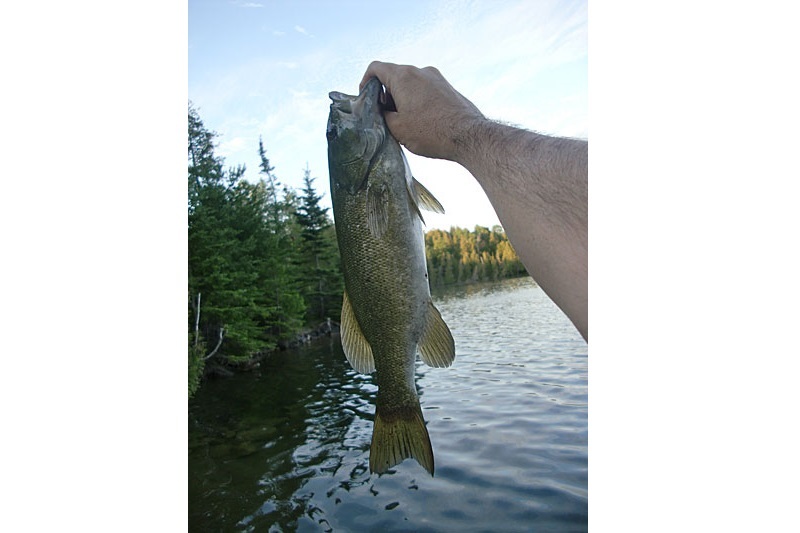 The lake is great for fishing with large and small mouth bass, northern pike and walleye. 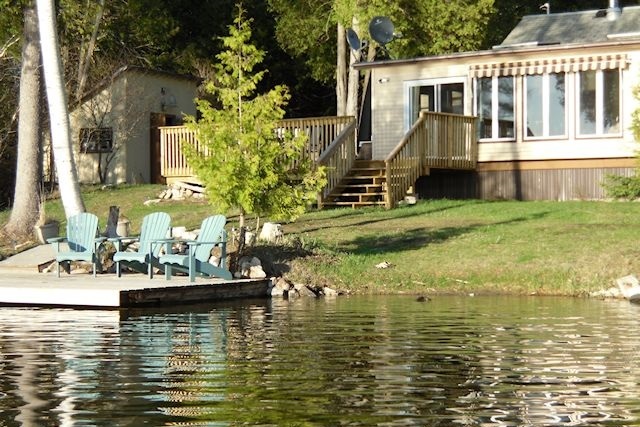 The Frontenac area is a beautiful and peaceful location for simply sitting back and chilling out. 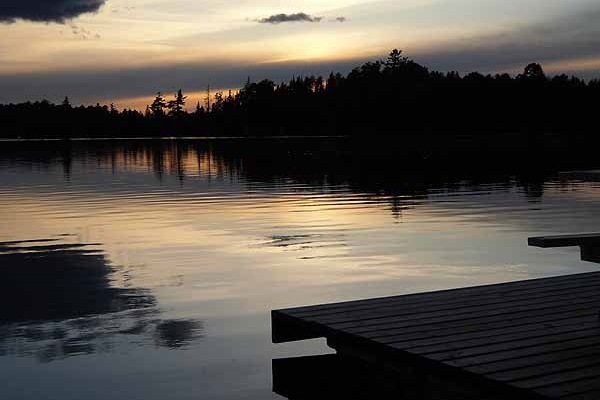 For the active members of the group there’s golf and tennis within half an hour, and three great provincial parks to explore within an hour’s drive. With a grocery store (with LCBO and Beer Store) just 15 minutes away, you won’t have to go far for provisions either. Come and visit Malcolm Lake – you won’t want to leave! 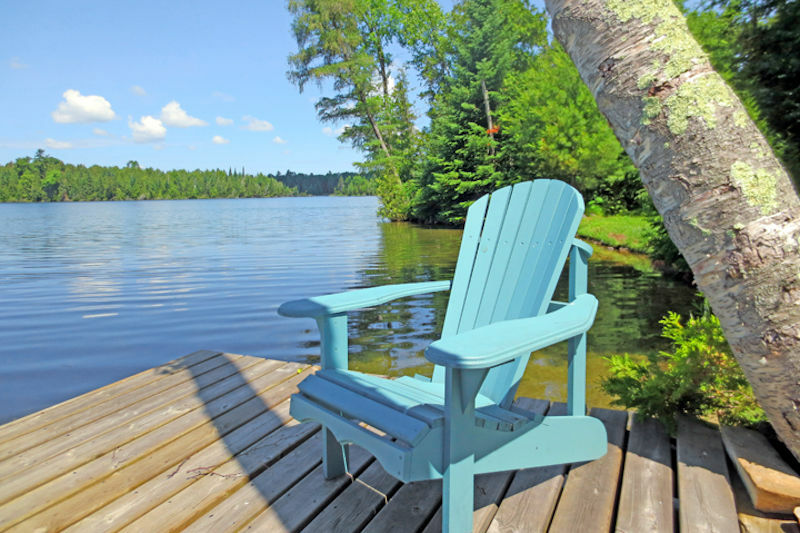 A post-rental cleaning service is available at an additional cost of $75 (booked in advance); if not required the cottage is to be left in an 'as found' condition. There is a shallow area for easy access to the water that is sandy underfoot. The lake bed becomes softer with some rocks further out so water shoes are recommended. We had a wonderful week at Bonnie Isle! The sunsets were gorgeous and the chipmunk made fast friends with whoever sat on the deck. The kitchen was a dream come true. Your online photos do no justice to the amazing sitting room. From the minute we stepped foot on this beautiful property, we knew that there was a lot of heart. 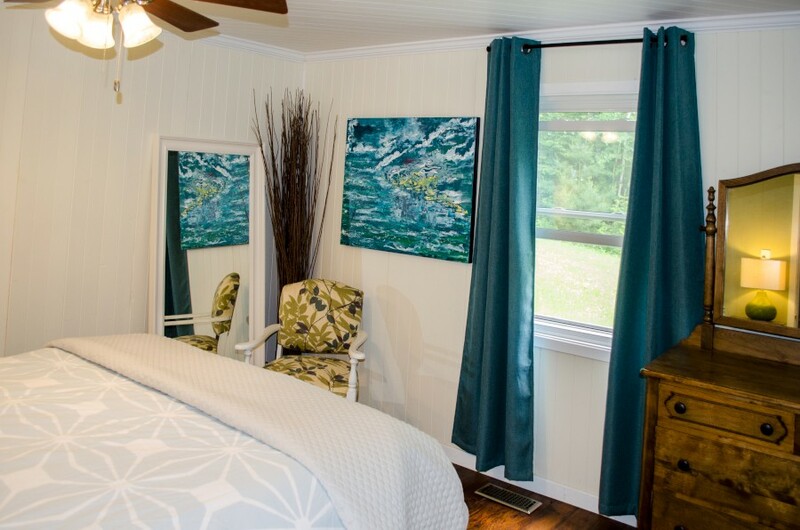 The free flowing breeze through the windows speaks of the care to comfort, the wide open deck to the spaciousness, the well-tended kitchen with its welcoming basket of treats. How kind-hearted you must be. We felt your good vibes. 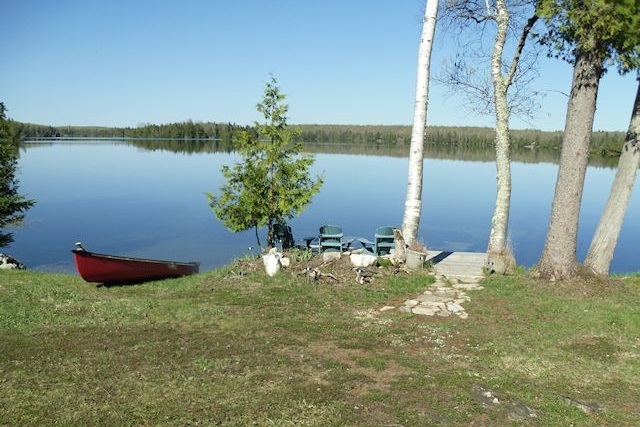 You truly have a little slice of heaven here on Malcolm Lake! It was also great to have plenty of indoor activity options for the days which were cold and/or rainy. We hope to return to the place next summer. Thank you for the lovely week my family and I had at this cottage! My kids loved the water and the outdoors, especially our 2 year old. The cottage was the best we’ve stayed at in the 4 years that we’ve been doing this. 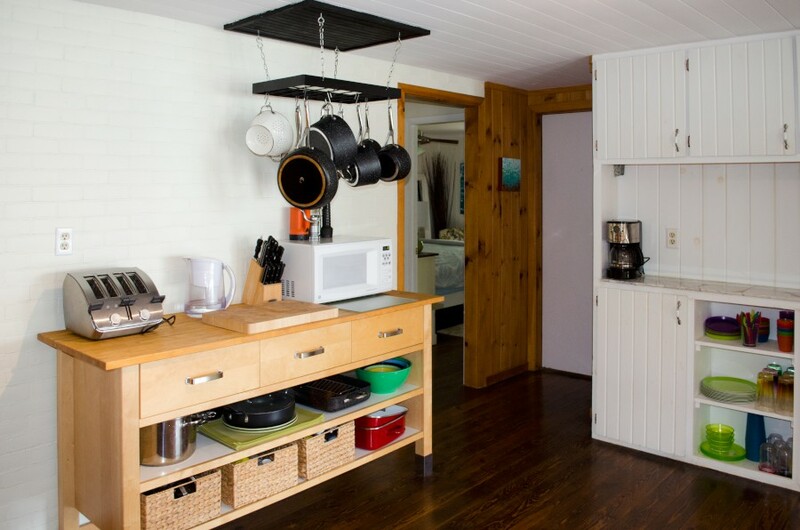 Very comfortable and spacious with a nicely stocked kitchen, allowing us to relax and not worry. We are sad to leave and will miss the tranquility. Also, watching the felled tree slowly being taken apart by the mysterious beaver was great! We enjoyed our stay here tremendously. The beds are so comfortable and everything is so clean! A great place for our toddler to play – he loved looking for rocks and shells at the little beach. The welcome basket was such a nice touch. The men have been successful fishing so the holiday is considered a success! We’ll be back! 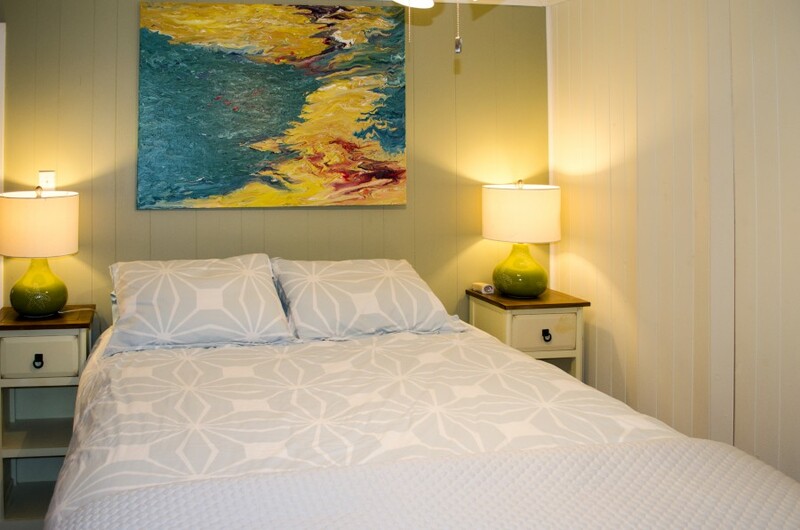 Great cottage – super kid friendly, easy to keep clean, comfortable beds. We loved the chairs on the dock and sent hours each day playing in around the water. We are so glad to have found such a quiet and relaxing spot. 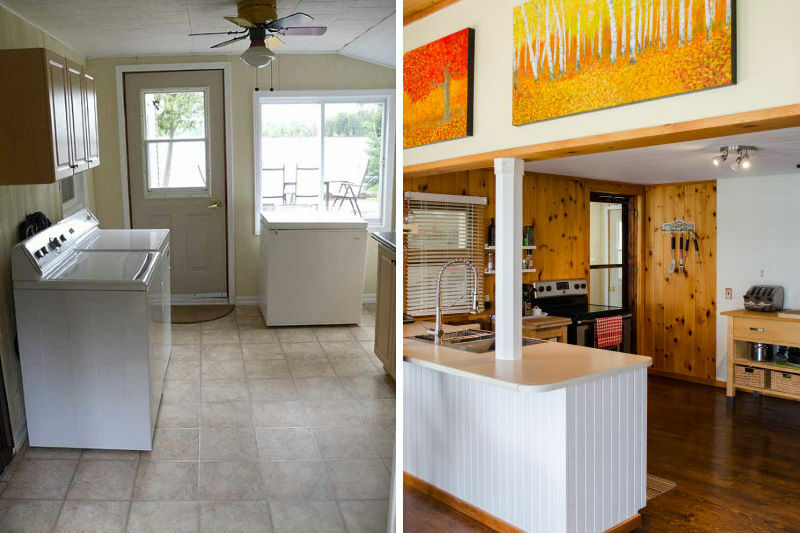 We loved this cottage and would definitely come back – great finishing touches, very spacious. Thank you for having us and for the lovely bottle of wine and snacks. Thank you, thank you. We had an amazing week here on Bonnie Isle Cottage. Our grandchildren had many firsts this week, from swimming in the lake to trying out kayaks to canoe rides. They spent lots of time trying to catch minnows (I didn’t tell them that it would be impossible). The cottage itself was more than expected, so comfortable and everything we needed was here. 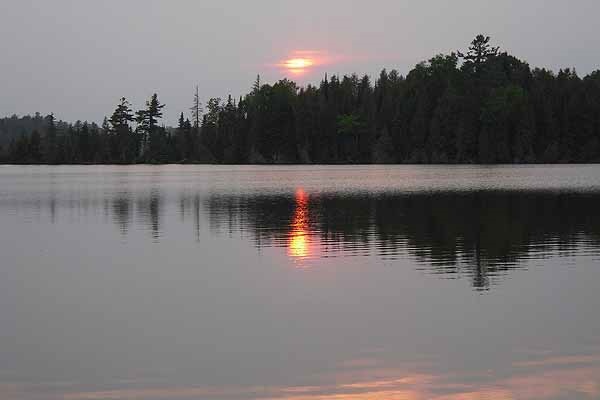 Of course, my favs were the loons, sunsets and quiet mornings on the dock. Once more, like last year we had tremendous fun. This is a piece of heaven.